This recipe almost broke me. I have a very bad track record with choux pastry. The first time I ever made it, the results were amazing. Crispy, puffy pastry, begging for cream and chocolate icing to create the ultimate eclair. Smugly, I thought, eh – what’s the big deal, choux is easy. Just look at my eclairs. Later on in the year, I had a day off work (using up holiday before year end) and thought I’ll visit my parents and make a batch of those eclairs to take with me. A lot of eggs later, I had made three batches of choux pastry. All of which were a failure! Some stuck to the tray, others deflated and some tasted a bit like soggy Yorkshire pudding! I could’ve cried. Never again, I decided. However, determined not to be beaten by choux, I decided I would make a choux recipe from the pastry section of ‘the book’. I am getting ahead of myself though. 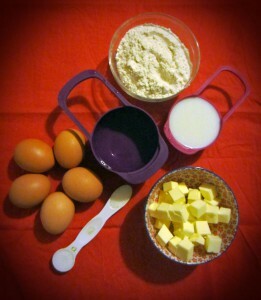 Let’s tackle the recipe in the order I made it. The first part of the recipe was a cinnamon shortcrust pastry. I made this the day before and stored the dough overnight in the fridge. 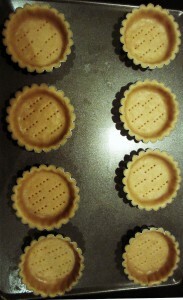 Then, I rolled out the pastry and cut it to size for my 8 tartlet tins. These were an absolute bargain. I found a catering wholesaler online and got the tins for 45p each. Take that Lakeland! This would have been the perfect moment to make the creme patissiere. It needed at least an hour in the fridge to chill. I know, ‘mise en place’ you’re thinking. But, I did read the recipe and the chill time did not include the creme pat. Also the last time I made creme pat I didn’t need to chill it. In hindsight, I guess that’s because I was baking it. I made the choux pastry next, this is where things went downhill. 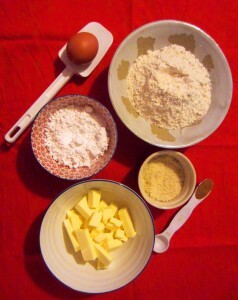 In case you don’t know, making choux involves heating butter, milk and water and then adding that to your flour. 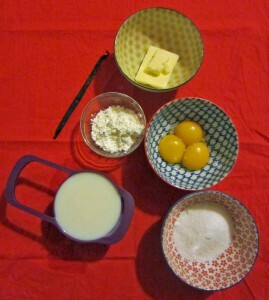 You then cook out the flour, take the pan off the heat and beat in the eggs one at a time. The recipe called for 5 eggs, I only ended up using 4 as I felt the pastry was very runny. 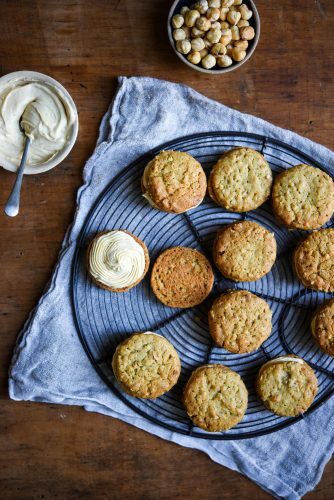 Interestingly, choux dates back to the 1500s and actually means cabbage in French. 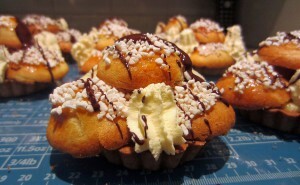 The pastry got its name because, a patissier called Avice decided the cooked pastry resembled small cabbages. I poured the pastry into my piping bag, it fell straight through and out the nozzle. I tried to pipe it and I ended up in a huge mess. So I scraped the pastry off my baking tray and tried again. Still no luck. I grabbed another baking tray, greased it and then spooned the pastry onto the tray. After I measured out 36 choux puffs, I still had so much pastry left. I didn’t want to waste it, so I used the remaining pastry to make some large ‘choux buns’. I put them in the oven and watched them puff up as desired. I felt a sense of pride that I had trusted the recipe. Taking care not to open the oven, as Felder warns that they will deflate, if you open the oven before they’re done. In the meantime I made the creme patissiere. This was the first time I’ve de-seeded a vanilla pod, normally I just use the extract. The smell was amazing. I will definitely be using the pods in future. It was 10.00pm by the time the choux came out of the oven and the creme patissiere was cool. 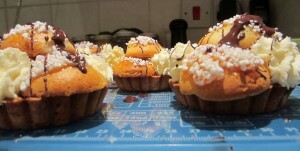 I still had to construct and decorate the choux puff tartlets. Sob! 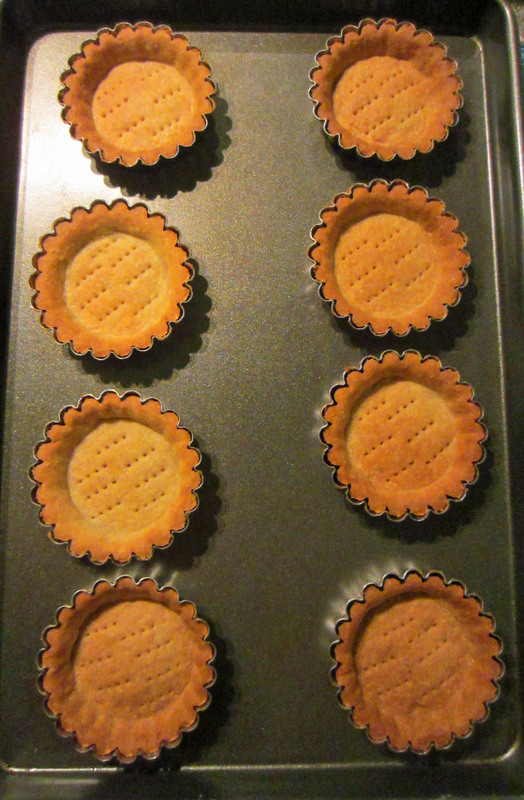 So, the last thing I wanted, was to find that all of my puffs had stuck to the baking tray. I delicately chiseled them off the tray and put them on a rack to cool. 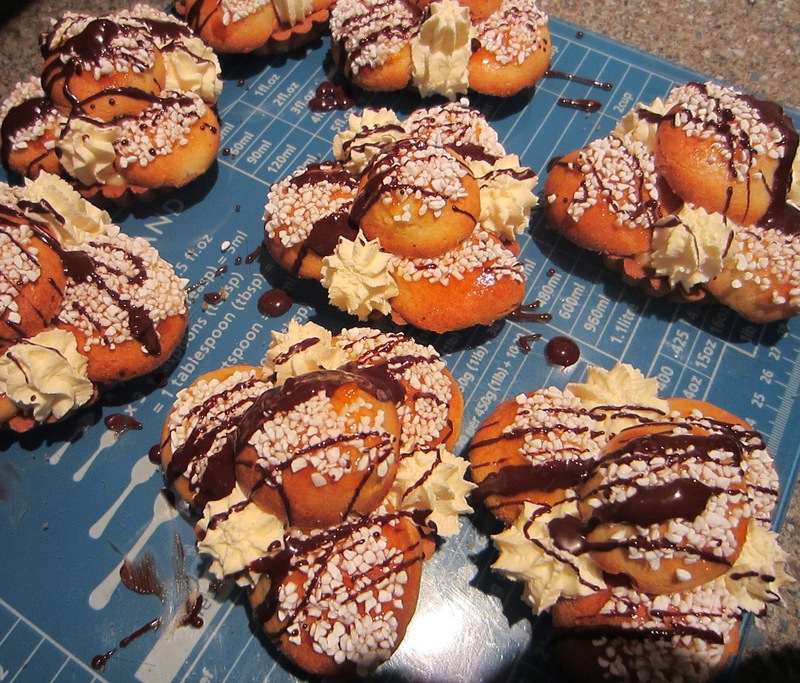 The bigger ‘choux buns’ were a complete failure and I chucked them in the bin. I didn’t really understand why the choux didn’t work. However, after looking at other choux recipes, the ratio of flour to liquid looks uneven. I’m going to try choux again using a Dan Lepard recipe, after he gave me some tips on twitter (shameless name drop). The last part was the decoration. I filled the pastry tartlets with the vanilla creme patissiere. I then filled the choux puffs with creme patissiere, dipped them in apricot conserve and sugar pearls and arranged them on the tartlets. 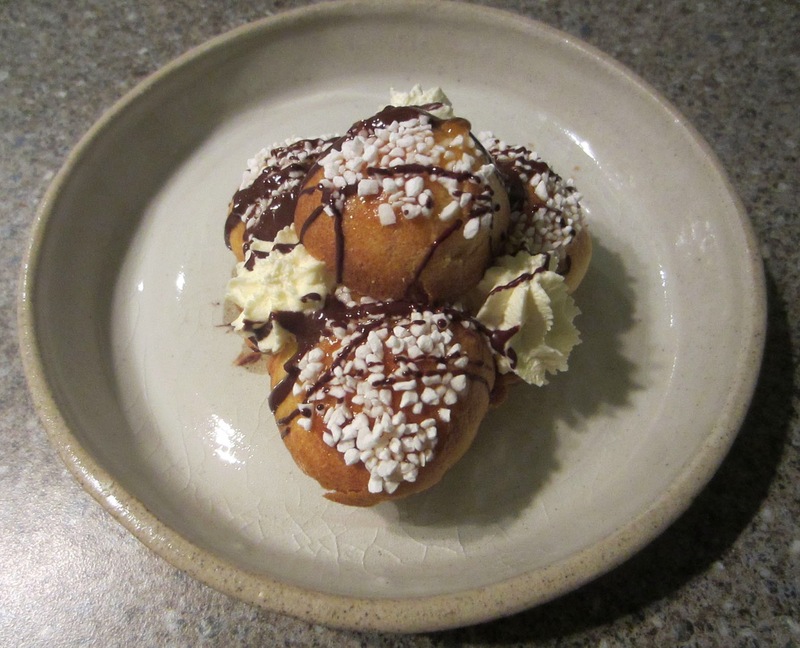 Then, I whipped the cream, added some icing sugar and piped it in between the choux puffs. Finally, I drizzled melted chocolate over the tartlets. The finished result, was, in my opinion a case of style over substance, that was a complete sugar overload. They looked pretty good, not exactly like the book, but not far off. 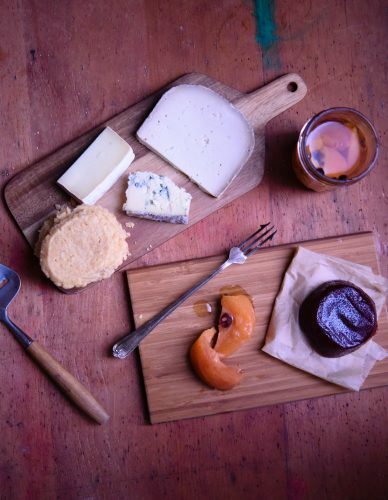 The taste of the individual components were great, but all together… it was just too sweet for me. Perhaps it was because my choux lacked structure. 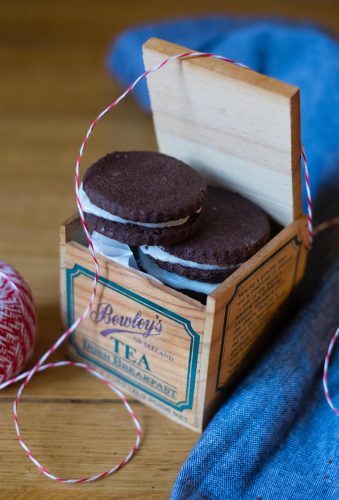 They did go down well with everyone else and a colleague said they looked and tasted amazing. 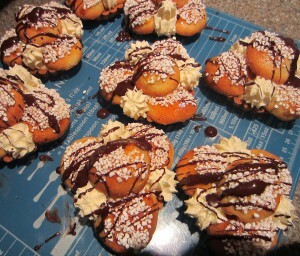 I had real fun decorating these, but my shoddy choux has left me disappointed. The mountain of washing up wasn’t much fun either. For next week’s recipe, we move onto the second chapter of ‘the book’; Les Cremes. The first recipe I will be trying from this section, will be Meringues Chantilly (in honour of Alicky). I live in Oxford with my boyfriend, my house rabbit Stanley and our tortoise Wonderwall. 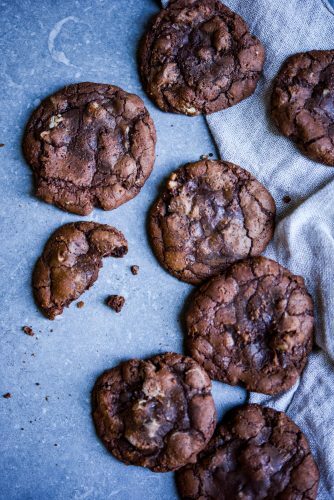 I am a Software Tester and I love to bake in my spare time.